Acoustic sensors are increasingly used in monitoring fetal health. Imperial College’s Niamh Nowlan is using low cost, non-transmitting accelerometers and acoustic sensors to continuously track fetal movement to understand skeletal development. 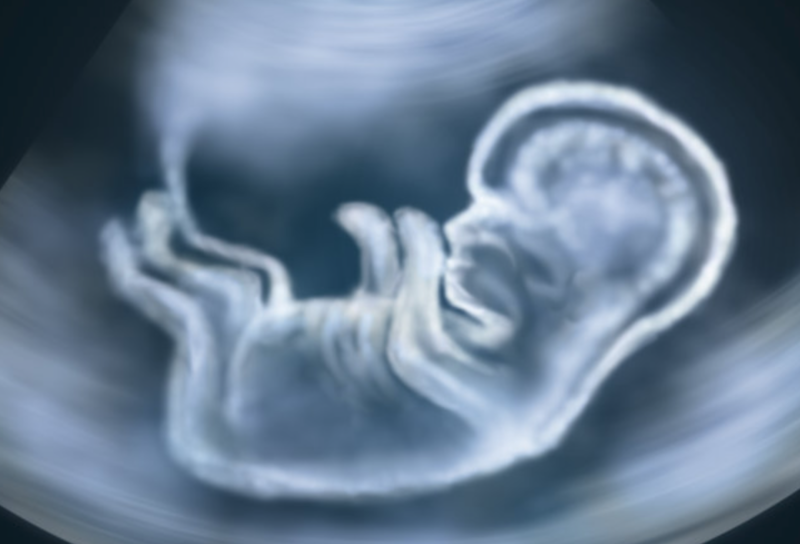 Acoustic sensors enable discrimination between the movement of the fetus and mother. 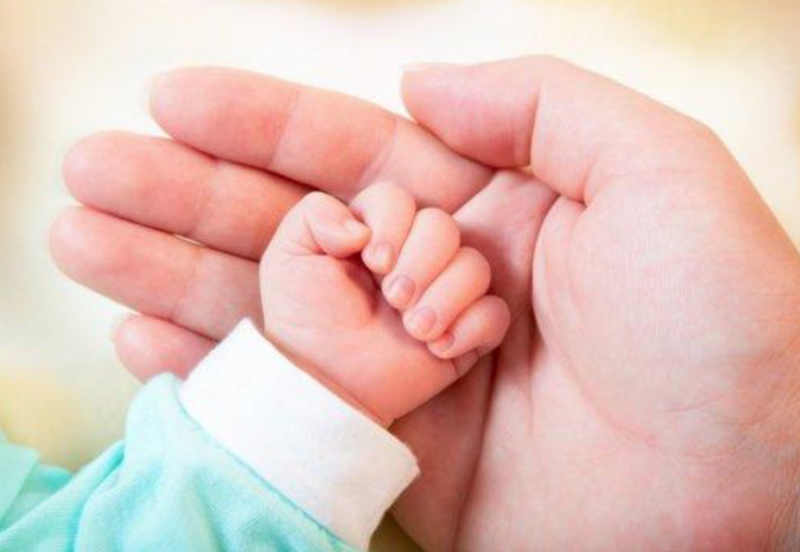 Israel’s Nuvo Group is continuously monitoring fetal cardiac activity using acoustic sensors and ECG (to track both sound and electrical activity) in a wearable baby belt. ApplySci predicts significant growth in the use of wearables for babies, toddlers, and pregnant moms. The Smilables system combines a baby-worn ankle bracelet with an app for parents that suggests structured interactions. The baby is monitored in real-time to identify the times that he/she would be most receptive to interventions. Caregivers are alerted throughout the day. The lesson modules are customized by age. The baby’s progress against childhood development standards are monitored and benchmarked. 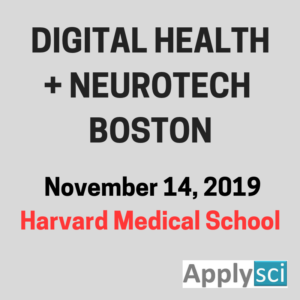 The company, founded by former NeuroFocus (Nielsen Neuroscience) head A.K. Pradeep, has not yet unveiled details of its technology or child development benchmarks. Hari Shroff and NBIB colleagues have developed open-source 3D software that might lead to the ability to track a human embryo’s brain activity and development. To date, the technology has only been tested on worms and will be part of a 4D neurodevelopmental “worm atlas” that attempts to catalogue the formation of a worm’s nervous system. Shroff believes that it will enable the understanding of fundamental mechanisms by which human nervous systems assemble. He expects that the concepts, such combining neuronal data from multiple embryos, can be applied to additional model organisms. 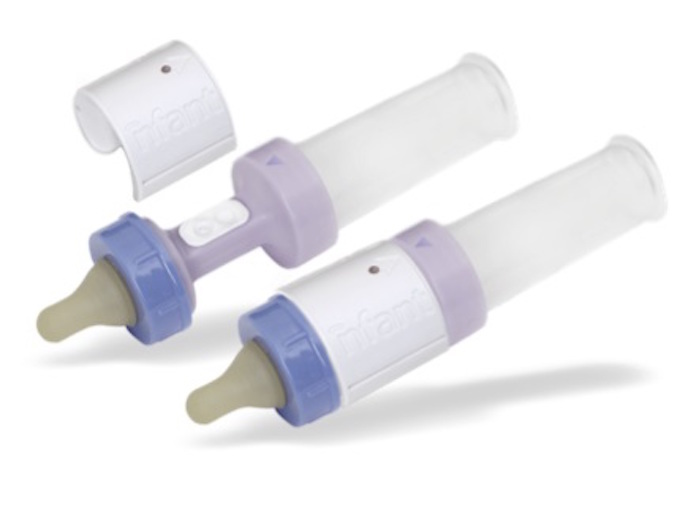 A smart baby bottle by nfant uses sensors to measure a baby’s tongue strength while feeding. Data is sent to a caregiver’s phone and stored in the cloud. 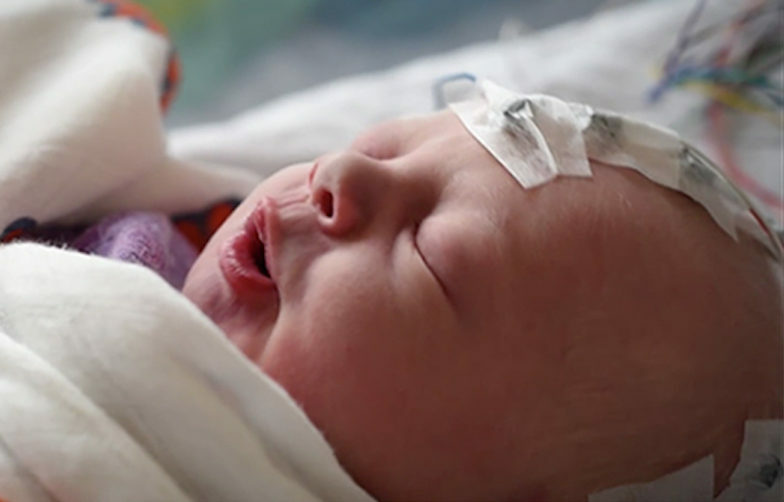 Tongue movements determine whether a baby in the NICU has the strength to switch from tube to bottle or breastfeeding. 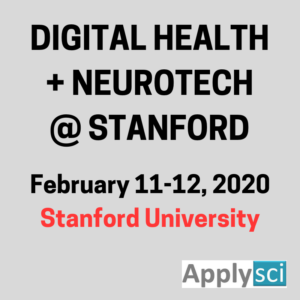 ApplySci sees the opportunity for the next generation of smart bottles to incorporate multiple infant-health parameters, such as those derived from saliva. WAAA! is a text-based neonatal surveillance system developed by David Swann of the University of Huddersfield. It is a finalist project of UNICEF’s Wearables for Good Challenge. Appearance, pulse, grimace, activity and respiratory data is captured, via a patch, during the first day of life. Any deterioration triggers an immediate text alert to a carer. 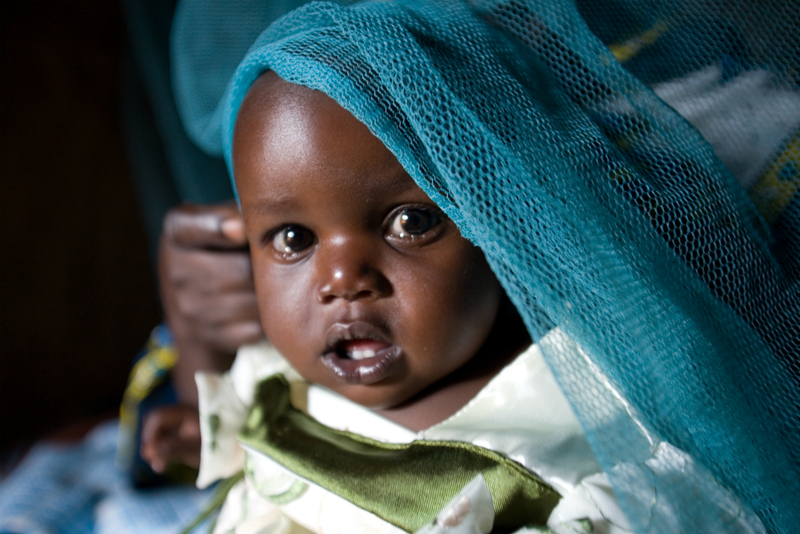 Globally, more than 1 million babies die on the first day of life – mostly due to preventable or treatable causes. The developers of WAAA! believe that helping babies survive the first day of life is the best way to reduce child mortality. The technology is capable of monitoring multiple newborns at distances up to 40 miles. This can provide some level of care in the world’s poorest and least served regions. All too often we hear about a baby, or person who is unable to speak for him/herself, being left in a hot car, and dying. 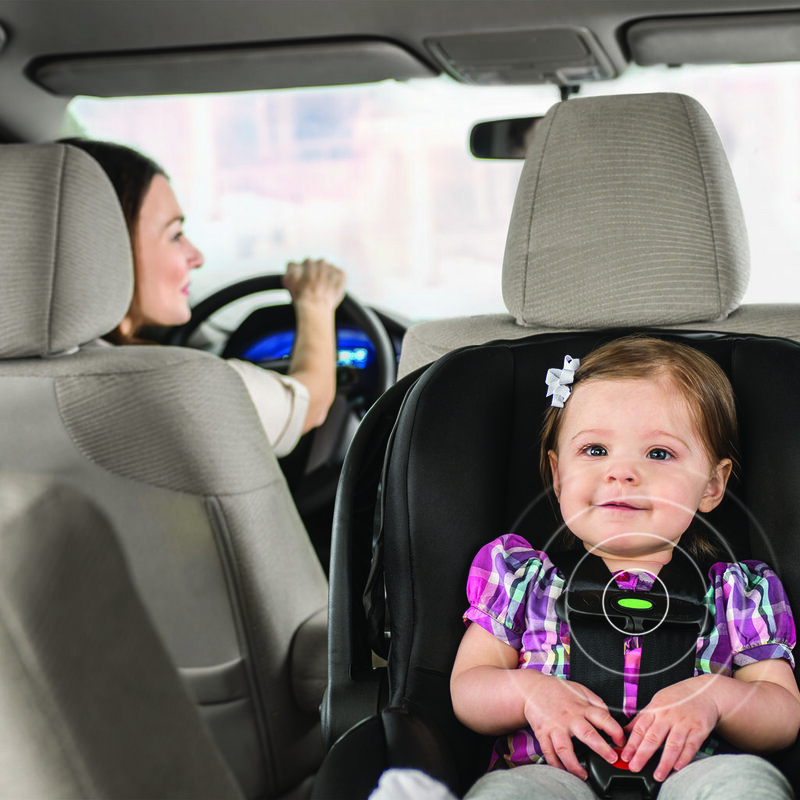 ApplySci applauds Evenflo for creating a car seat with a very simple notification sensor that could prevent this. The Embrace DLX seat, with SensorSafe technology, generates a series of tones when a car is turned off, to remind us that a baby is still in the car. The company has not described technology for disabled adults, but this is the obvious next step. The tones are activated through a chest clip and wireless receiver. The receiver also sends alerts if the chest clip becomes unbuckled during transit. 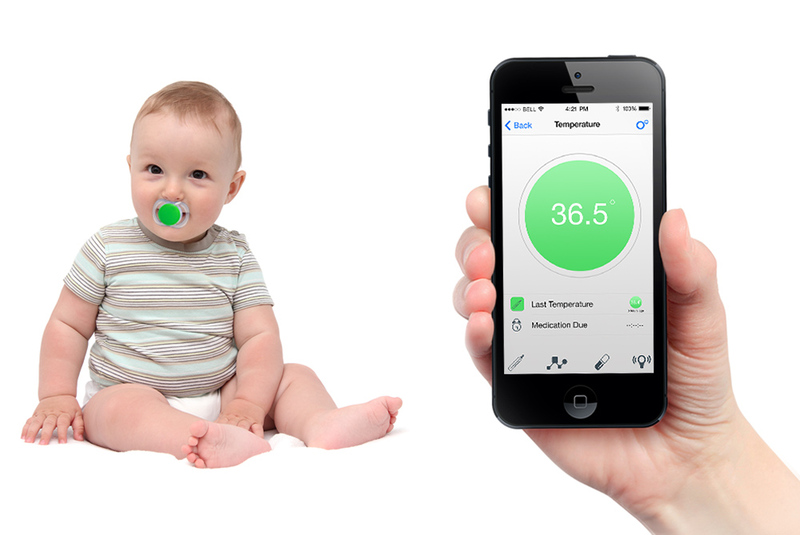 BlueMaestro’s Pacifi monitors a baby’s temperature and transmits the data to a parent’s phone or tablet. Its app plots the data in a graph. Parents can record when medication was administered, set-up alerts, and share the information with nannies and doctors. Pacifi features a built in proximity sensor that allows parents to monitor the pacifier’s location and be alerted if their toddler wanders off. Parents can set the distance, to a range of 150 feet, for the alarm to be triggered. Sensor based baby monitoring is receiving a lot of exposure at CES. One such monitor, by Mimo baby, includes three parts: the Kimono, the Turtle and the Lilypad station. The Kimono is a cotton onesie, with machine washable sensors, worn by a baby when sleeping. It houses the Turtle, which tracks a baby’s respiration, skin temperature, body position and activity levels. The Turtle conveys the information via Bluetooth to the base station, called Lilypad, in the baby’s sleep room. The Lilypad is connected to the home Wi-Fi network. It processes the information and transmits it to a smartphone app.